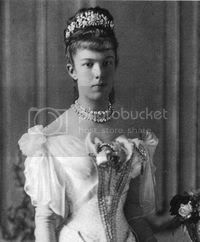 I don't have it with me but I think a lot of the Austrian jewels were stolen in the post-WW1 chaos but I can't remember the exact details. 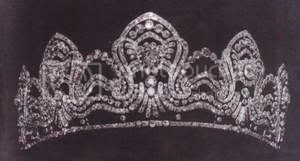 It was detailed in The Queen's Jewels by Vincent Meylan. I think they were supposedly entrusted to someone to sell for money who them absconded with it? of Swarovski. 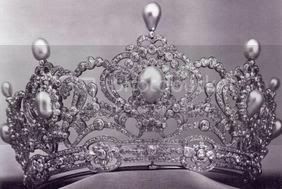 This replica is today on display at the "Sisi" Museum in the Hofburg along with other "replicas of selected items of jewellery once owned by the Empress which no longer exist today". This painting was done to commerate FJ's 25th anniversary. 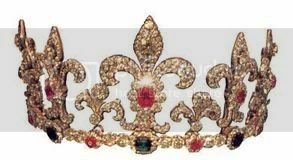 He had bought some jewels that belonged to the French royal house (I think Marie Antoinette) and had some reset. The 'tiara' Sissi wears is actually supposed to be a belt. 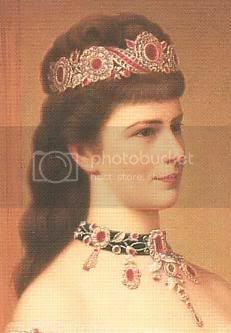 It is sad to think that some of these wonderful pieces of jewelry that Sissi owned are no longer in existence.It is nice to see replicas of these pieces.Thank you to everyone for all the information. It is indeed. 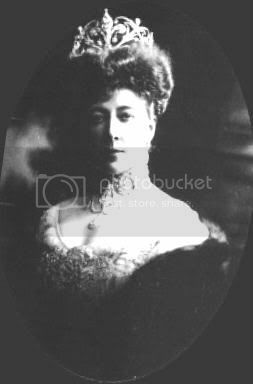 Munn's book states that of the jewels that weren't recovered they likely were quickly broken up and sold. Owners of what was made from them probably don't know anything of their storied provenance. 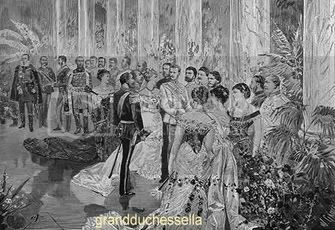 Thank you very much GranduchessElla, all this is new for me..., photos and tiaras... did all the 3/4 tiara you post belonged to MarieValérie?? the last one seems to me that one Zita was wearing for his wedding day. The SECOND one with the marvellous "fleurs de lys" was austrian from the day of his creation or was a french one gone to austrian family??? You're welcome. No, just the one I mentioned belonged to MV--at least as far as I know. I had the image saved so didn't have any further info on it. 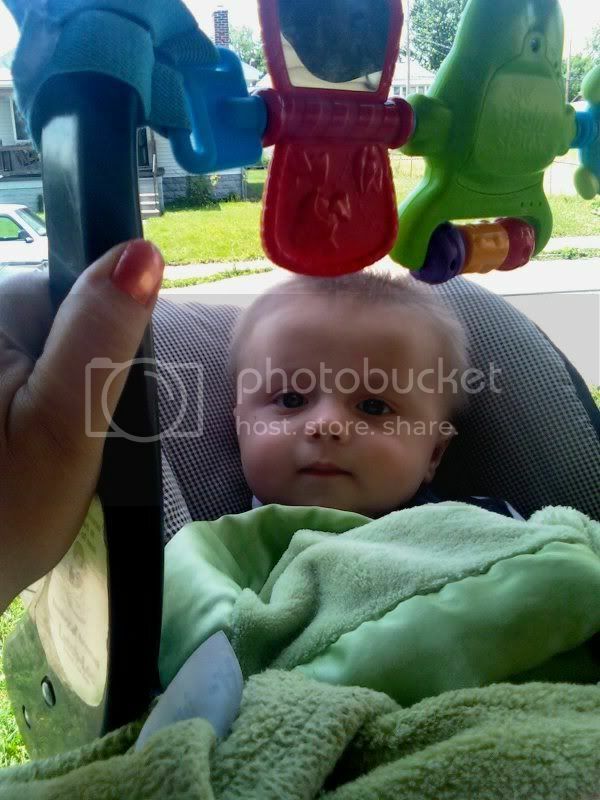 It shows some of MV's jewelry--though only the one photo of her wearing a tiara. 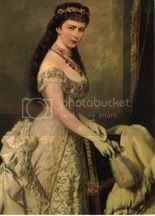 Does anybody have pictures about jewellery of Empress Elisabeth "Sissi" ?